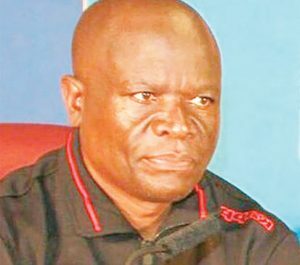 Malawi under-23 national football team Coach, Meke Mwase, knows time is not on his side, so he has upped a gear in drilling his charges ahead of next month’s Egypt Africa Cup of Nations (Afcon) qualifying matches against Zambia over two legs. Mwase said he is done getting his charges in the right physical shape. He said he is now focusing on the finer details of the game, knowing cohesion would be paramount if they are to see off the noisy neighbours. Malawi host Zambia on March 20 followed by the reverse fixture on March 26. “We are working on combinations among strikers so that they know how to play in a team situation; focusing on their runs. This is also the case with the defenders. We need to get our combinations right,” he said. The TN Stars mentor impressed while in charge of the under-20, taking the team to within one game of qualifying for Afcon finals for the age group, only to lose 2-0 over two legs to South Africa. His impressive showing with the under-20 paved the way for his promotion to the under-23. Mwase did not disappoint, beating Botswana 3-2 over two legs to date Zambia in the next round. The overall winner between Malawi and Zambia will advance to the final round in June to meet either Congo- Brazzaville or Burundi for a place at the Afcon finals scheduled for Egypt from November 8 to 22. The under-23 Afcon matches also serve as Japan Olympic Games’ qualifiers. Meanwhile, Zambia Coach, Beston Chambeshi—the Cosafa under-20 and Afcon under-20-winning mentor— has named a provisional 31-member squad, comprising graduates from under-17 and 20 teams, ahead of the games against Malawi.